Previous editions covered the stock and housing markets—and famously predicted their crashes. This new edition expands its coverage to include the bond market, so that the book now addresses all of the major investment markets. This edition also includes updated data throughout, as well as Shiller’s 2013 Nobel Prize lecture, which puts the book in broader context. 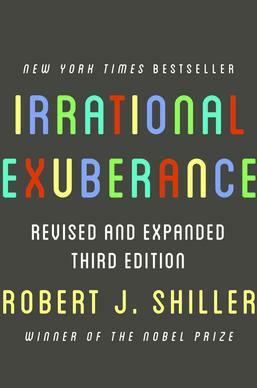 About the author/Robert J. Shiller: The recipient of the 2013 Nobel Prize in economics, is a best-selling author, a regular contributor to the Economic View column of the New York Times, and a professor of economics at Yale University. His books include Finance and the Good Society, Animal Spirits (cowritten with George A. Akerlof), The Subprime Solution, and The New Financial Order (all Princeton). He lives in New Haven, Connecticut.